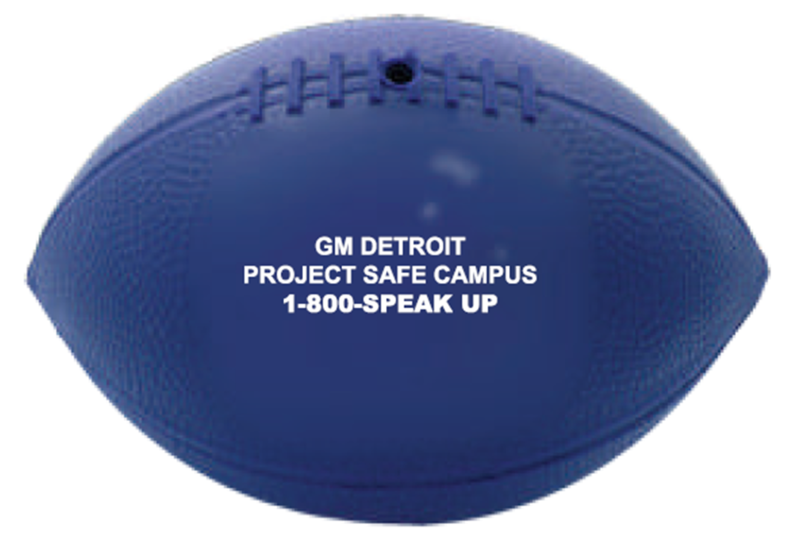 Project safe Campus is an ongoing program in that it provides monthly activities to engage students. Through participation, students can actively learn about the program through a more hands-on approach. Below you can find links to our activities, instructions, examples, and consent forms. The first activity of Project Safe Campus is the General Assembly in which an introduction to the program is presented. The objective is to introduce the program to all the students and to make them aware that there is an option to silence, that they can speak up and stay safe. The school liaison is in charge of giving the presentation to the students after she or he completed the “Train the Trainer” training provided by our Program Administrator. Below you can find the materials and the video that will be part of the General Assembly. 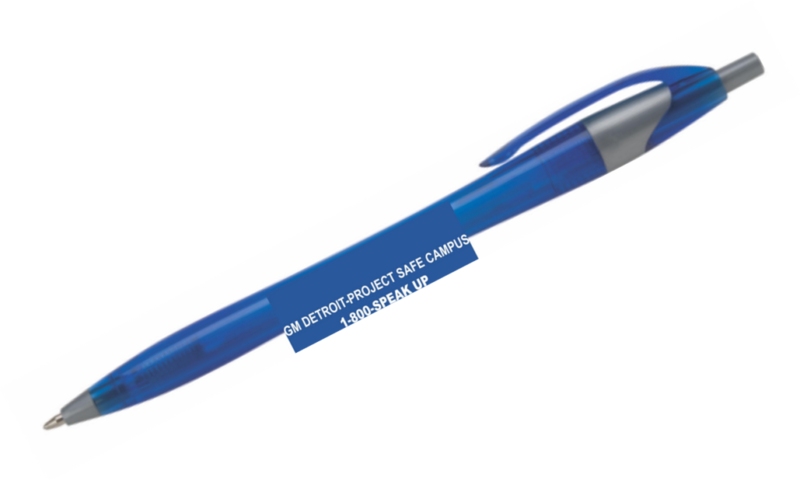 If your school is on one of the seven counties we serve, Project Safe Campus will provide you with promotional items so you can share them with your students. The objective is that the students are reminded of an alternative to silence, that they can speak up and stay safe. Below are some examples of the giveaways. 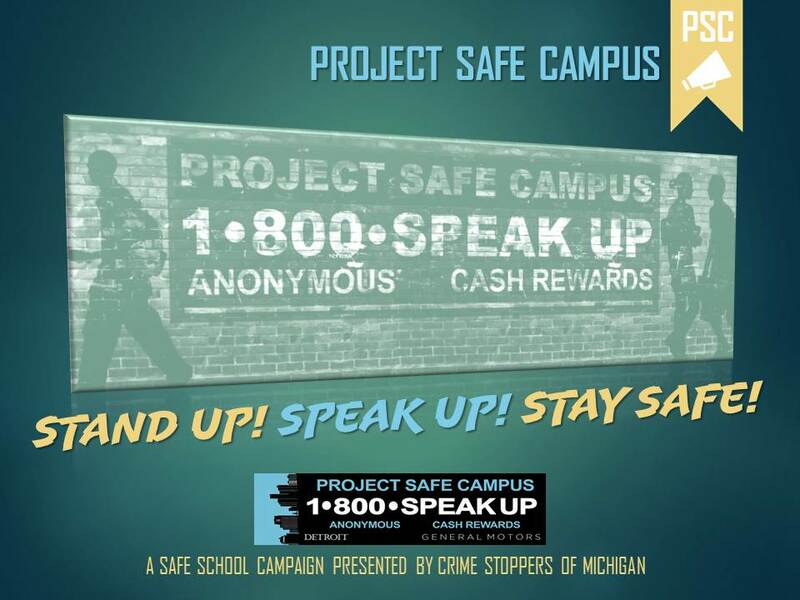 Crime Stoppers of Michigan would like a new design for their posters advertising the Project Safe Campus Program. We are offering a poster contest to your students. We know there are a lot of talented students in your school and we would love for them to participate by creating eye-catching, colorful posters that will be used in all of the schools that have implemented the Project Safe Campus Program. Crime Stoppers will select five lucky S.E. Michigan students as grand prize winners. Each winner will receive a prize of $100 each, and their entry will appear on our website! We would greatly appreciate your support of this contest. All poster entries and consents must be received by DATE TBD. They should be mailed to Crime Stoppers of Michigan, 18000 West Nine Mile Rd Southfield, MI 48075. We would appreciate it if you mail the posters to us rather than asking the students to do it individually. WE ENCOURAGE THAT THE PROGRAM COORDINATOR MONITORS THE CONTEST AT YOUR SCHOOL. We will contact the first round of winners and their schools by DATE TBD. The winning posters will be posted to the Project Safe Campus website by early DATE TBD. 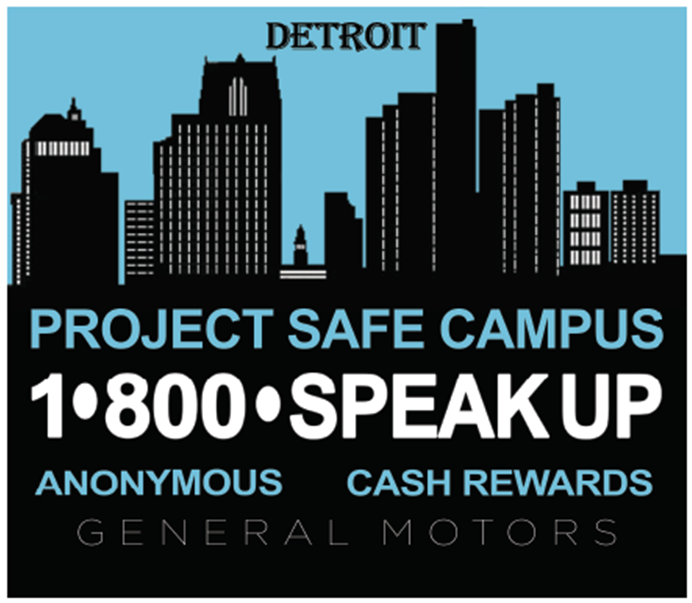 Crime Stoppers of Michigan is offering the opportunity for your students to create a compelling radio broadcast promoting the GM Detroit- Project Safe Campus program. Entrants should be creative and original. Crime Stoppers will select five lucky S.E. Michigan students. Each grand prize winner will receive $100 each and their entry will appear on our website! We would greatly appreciate your support of this contest. All audio files and consents must be submitted by DATE TBD. Audio files can be uploaded to the PSC Dropbox, or mailed with the consents to Crime Stoppers of Michigan, 18000 West Nine Mile Rd Southfield, MI 48075. We would appreciate it if you mail the consents to us rather than asking the students to do it individually. WE ENCOURAGE THAT THE PROGRAM COORDINATOR MONITORS THE CONTEST AT YOUR SCHOOL. We will contact the first round of winners and their schools by DATE TBD. 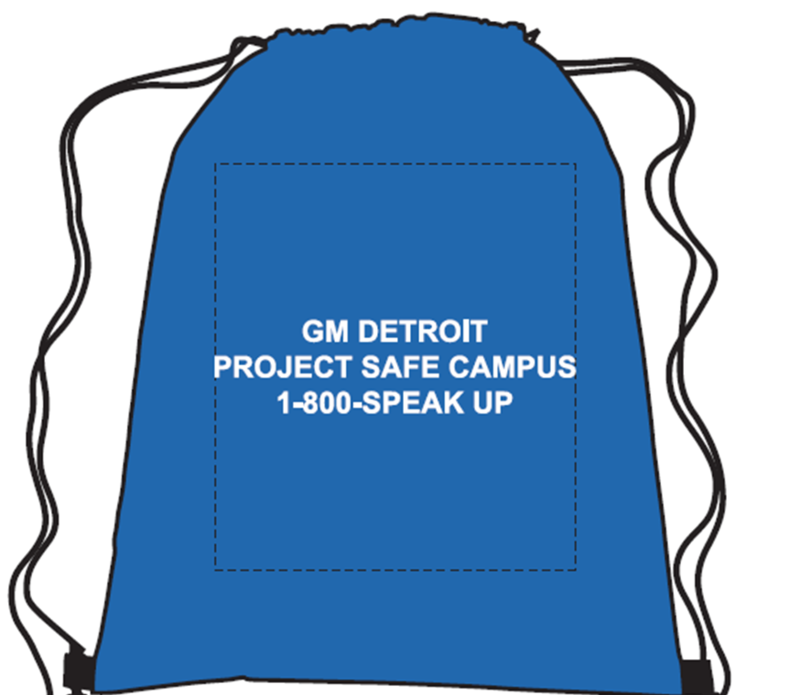 The winning audios will be posted to the Project Safe Campus website by early DATE TBD. Please feel free to call with any questions or concerns at 313.922.5000, ext. 129. To access the rules and regulations of the contest click here. Please share them with your students. Thank you so much for your promotion of this contest. 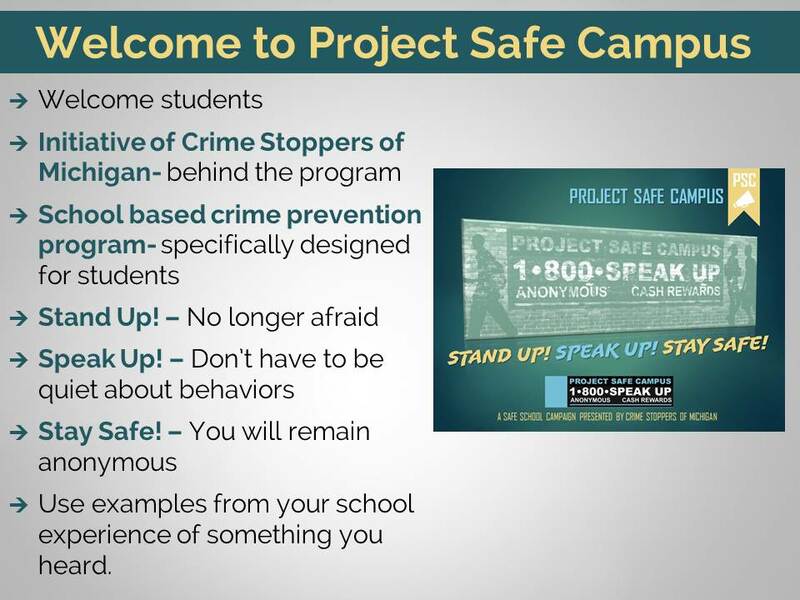 Crime Stoppers of Michigan is offering your students the opportunity to create a compelling video promoting the Project Safe Campus program. Entrants should be creative and original. Crime Stoppers will select five lucky S.E. Michigan students as grand prize winners. Each winner will receive a prize of $100 each and their entry will appear on our website! We would greatly appreciate your support of this contest. All video files and consents must be submitted by DATE TBD. Video files can be uploaded to the PSC Dropbox, or mailed with the consents to Crime Stoppers of Michigan, 18000 West Nine Mile Rd Southfield, MI 48075. We would appreciate it if you mail the consents to us rather than asking the students to do it individually. We will contact the first round of winners and their schools by DATE TBD. The winning videos will be posted to the Project Safe Campus website by early DATE TBD.